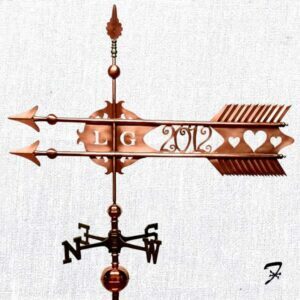 Categories: Arrow Weathervanes - Grand, Fleur De Lis Weathervanes. 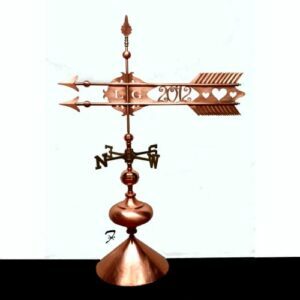 Tags: Arrow Weathervane, Copper, Fleur de lis. 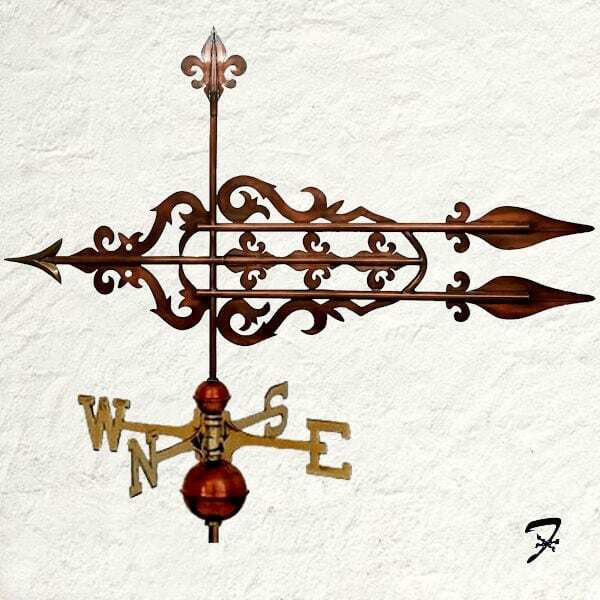 See this weathervane being made in the Blog. 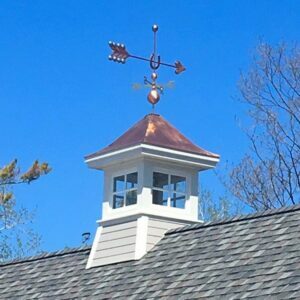 27″L x 27″H Arrow + 14″H Assembly = 41″H weathervane + 14″H mounting root. 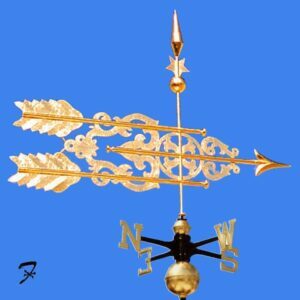 36″L x 36″H Arrow + 18″H Assembly = 54″H weathervane + 18″H mounting root. 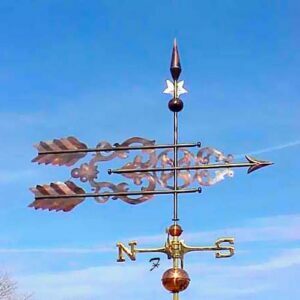 45″L x 45″H Arrow + 24″H Assembly = 69″H weathervane + 24″H mounting root. 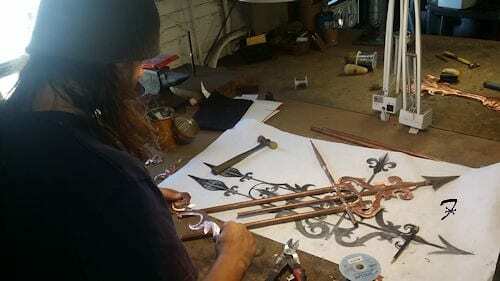 Allow 2 extra weeks for Gold Leaf Finish. 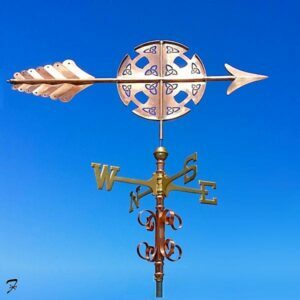 Arrow Weathervanes - Radial, In Stock Weathervanes, Irish Weathervanes, Sale Weathervanes - 20% off! 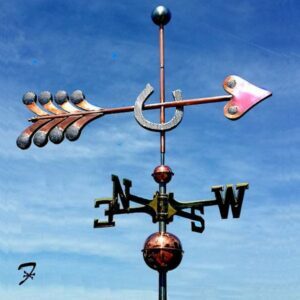 Arrow Weathervanes - Figures, Horse Weathervanes, In Stock Weathervanes, Sale Weathervanes - 20% off!